Maha Bodhi Society, Bangalore was founded by Venerable Acharya Buddharakkhita in 1956 to bring back the teachings of the Buddha in India. Currently there are 130 monks at the Monastery, the largest Theraveda training center in India. 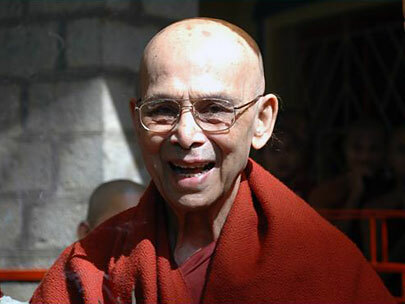 For over 50 years the Society has been engaged in various spiritual programs such as meditation courses, Dhamma classes, publishing and free distribution of Buddhist books, and other programs. With a view to directly alleviate the suffering of the neediest members of society, humanitarian welfare programs were begun. These have included the building of Mahabodhi Burns and Casualty Center, Rural Mental Health Center in Sakalwara, Arogya Hospital in Siddapura, Mallige Hospital in Bangalore, Artificial Limbs Center, conducted camps to help leprosy patients, blind people and cancer patients, and the distribution of clothes, blankets, and mosquito nets to the poor and needy. In the field of education, the Society has given education to hundreds of poor students from all over India. The Society runs schools and hostels in Mysore and Arunachal Pradesh. 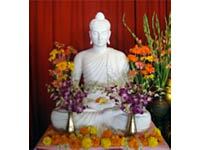 For full information on their activities please check Maha Bodhi Society’s website at www. mahabodhi.info.